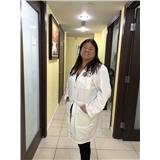 Anna GL Chan, MD PC (Flushing) - Book Appointment Online! Please Note: If you are coming in for an annual physical or blood test you must fast 8 hours prior to your appointment. We have a friendly staff and always able to answer your questions!! We welcome new patients and provide a warm, comfy environment for your needs!! Dr. Chan takes the time to discuss and explain thoroughly all of the patient's problems!! We are new to the neighborhood and want to make an impact in the communities health care management!! We are also certified for CDL certifications and DMV vision testing!! Had my annual physical and was extremely satisfied with my visit to Dr. Chan. It was done quickly and everyone was super nice. Great doctor and staff. Highly recommend!